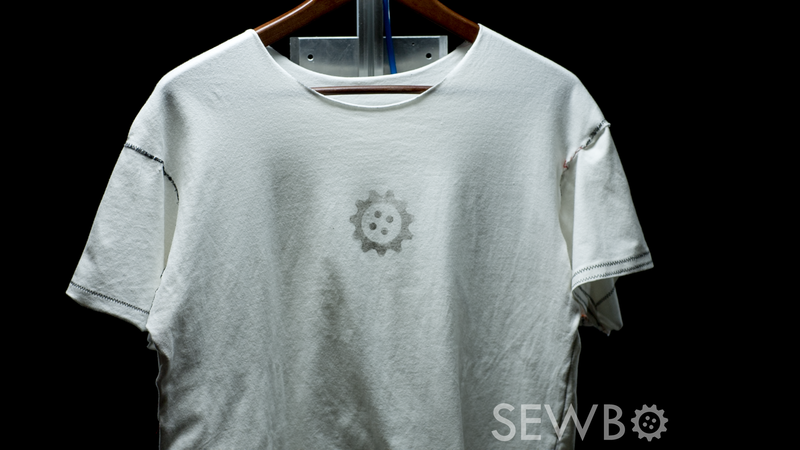 SEATTLE – Sewbo Inc. on Thursday announced that it has achieved the long-sought goal of automated sewing, by using an industrial robot to sew together a T-shirt. This milestone represents the first time that a robot has been used to sew an entire article of clothing. Despite widespread use in other industries, automation has failed to find a place in apparel manufacturing due to robots’ inability to handle limp, flexible fabrics. 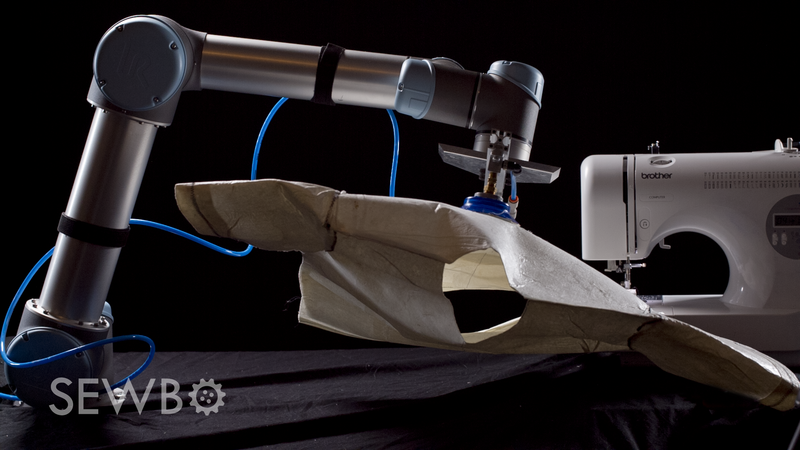 Sewbo avoids these hurdles by temporarily stiffening fabrics, making it easy for conventional robots to build clothes as if they were made from sheet metal. Afterwards, the process is reversed to produce soft, fully assembled garments. 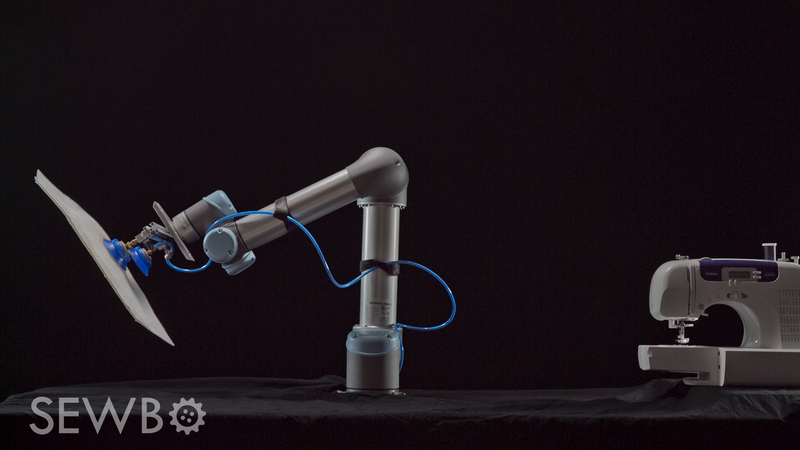 Sewbo performed their feat using an off-the-shelf industrial robot, which they taught to operate a consumer sewing machine. Having successfully proved its core concept, Sewbo is now expanding its team and working towards commercializing its technology. Despite widespread use in other industries, automation has made little progress in clothing manufacturing due to the difficulties robots face when trying to manipulate limp, flexible fabrics. Sewbo avoids these hurdles by temporarily stiffening fabrics, allowing off-the-shelf industrial robots to easily build garments from rigid cloth, just as if they were working with sheet metal. The fabric panels can be easily molded and welded before being permanently sewn together. The water-soluble stiffener is removed at the end of the manufacturing process with a simple rinse in hot water, leaving a soft, fully assembled piece of clothing. The stiffener can then be recovered for reuse. The treatment uses a plastic called Polyvinyl Alcohol, a non-toxic polymer that is already used elsewhere in the textile production process, as a "sizing" that temporarily strengthens yarn during weaving. Making clothes is a labor-intensive activity, and it’s been that way for thousands of years.1 Collecting fibers, making yarn, weaving fabric, and sewing clothes were time-consuming, tedious tasks. In 1970, experts predicted that we would have a man on Mars before apparel production is automated.5 Mars exploration is still on the horizon but, with Sewbo’s technology, automated clothing factories are just around the corner. Jonathan Zornow is the 30 year-old inventor behind Sewbo. 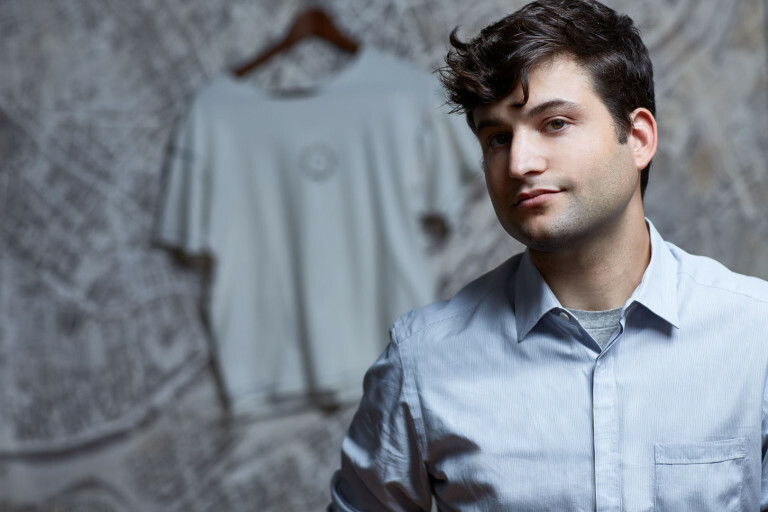 He came up with the solution to automating garment manufacturing while reading about temporary support materials for 3D printers, which are water-soluble plastics that could be melted and molded. These materials let 3D printers build things that would otherwise be impossible, and he thought that the same concept could be applied to the garment industry. This would ultimately prove to be a successful approach - but not before many long nights of tinkering, including a crowded stretch where he shared his tiny NYC studio apartment/workshop with a rented industrial robot. Zornow studied economics and studio art at Brandeis University, where his sculpture thesis was a fresco-making machine called “Robotecelli.” Jon lives in Seattle.